This beautifully hand-crafted diamond ring is truly engaging in both style and sparkle. Hand-Engraved by expert artisans for the perfect profile, this ring combines white hand-selected diamonds to maximize the sparkle from the center stone. The side design is beautifully cinched together, like a bustle on the back of a flowing wedding gown. Each side appears to be bound by a singular diamond. This sweeping beauty is in deed bound by both diamonds and more importantly, the love it takes to create something so brilliantly unique. 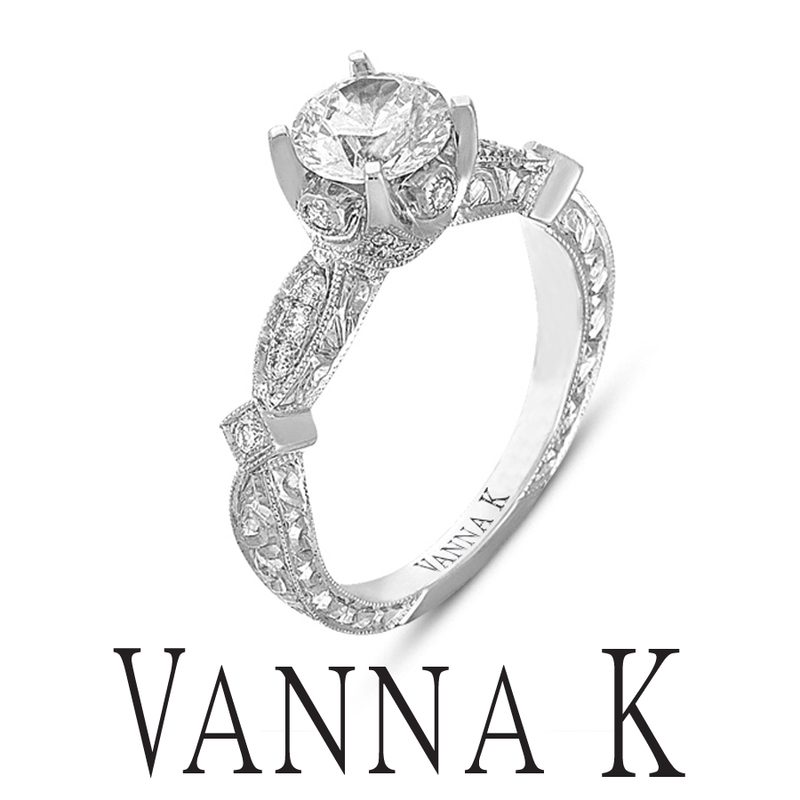 Find your unique diamond engagement ring today at Vanna K.